Have you ever come across postcards from Greece that at first sight looked like they were from an exotic little paradise in the Caribbean? 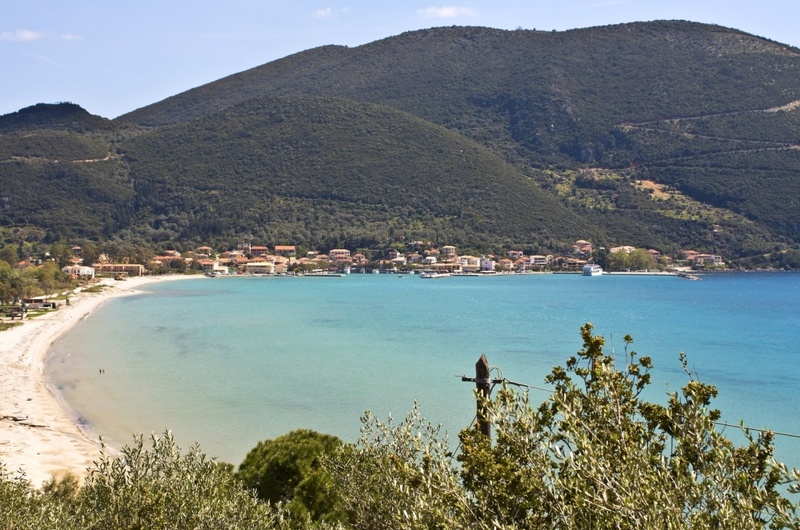 If yes, then you probably received a postcard from the island of Lefkada in Greece. It is the home of some of the best and most renowned beaches of the Mediterranean with turquoise waters that truly resemble the beaches in the Caribbean. The white sand is similar to the sand the wind transfers to Fuerteventura beaches in the Canary islands from the Sahara desert. But, don’t get disappointed. Unlike the Caribbean, those beaches are easily accessible as there are flights from various European airports in affordable prices. You can even travel to the island and its gorgeous beaches by car, crossing the floating bridge which connects it with the mainland. 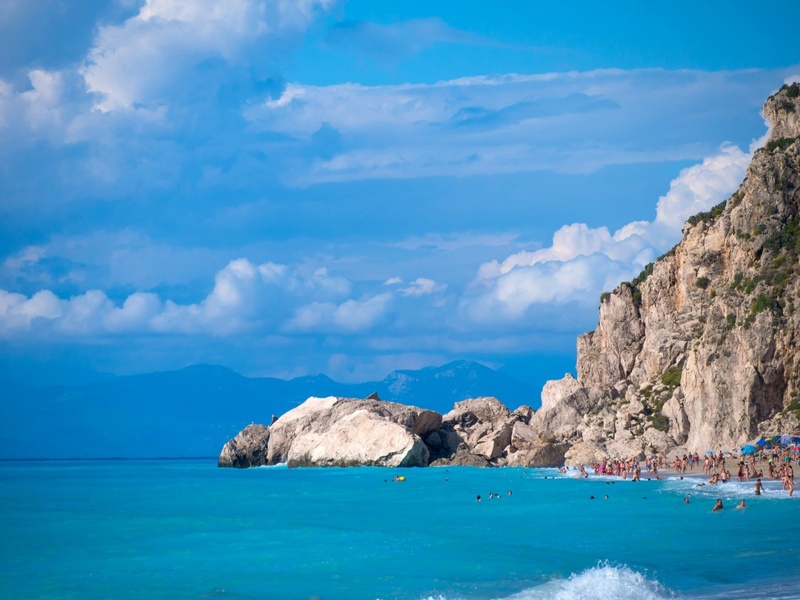 The lovely beaches of Lefkada with the stunning turquoise waters are waiting for you to explore them! 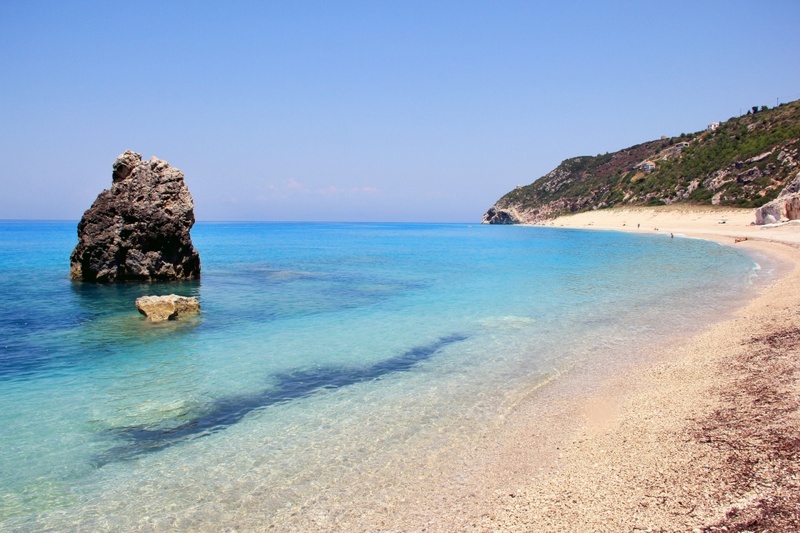 Perhaps the two most photographed beaches on the island are those of Porto Katsiki and Egremnoi. 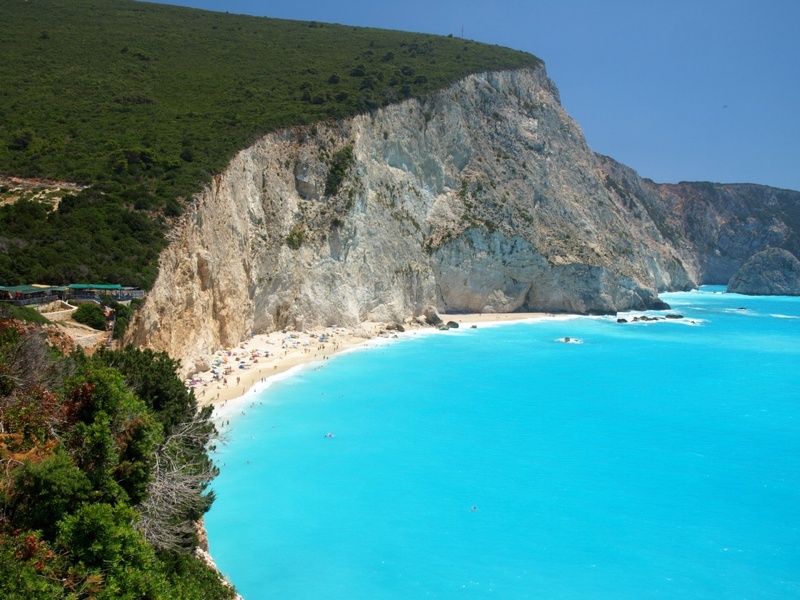 Both of them are surrounded by large dominating cliffs and they have the most stunning waters of all beaches on the island. The first one is among the six most beautiful beaches of the Mediterranean, whereas the exotic setting of the second creates a feeling of a deserted tropical island in the Pacific Ocean. Porto Katsiki is located 45 kilometres southwest from Town, close to Athani village. To access the beach you need to climb down quite a few stairs while overlooking the abrupt white cliffs. Even though there are sun loungers and umbrellas, as it is one of the main beach attractions, the idyllic landscape still takes your breath away. There are also a few snack bars to have a small lunch on the beach and enjoy swimming in the pristine waters until late in the afternoon without getting hungry. The beach is frequented by vessels as this is the best way to access it. Egremnoi on the other hand is even more difficult to reach as you need to walk down approximately 350 stairs. The number might sound a bit discouraging and intimidating, but the magnificent scenery, with the long sandy beach and the surrounding barren cliffs is definitely worth the effort. After all, holidays should have some elements of adventure, even for those of you who would go for the relaxing sunbathing on the beach. There are a few beach bars on the right, but at the end of the beach you will find more secluded spots. It is not as crowded as Porto Katsiki due to its location, even though there are still plenty of visitors looking for an ideal swimming experience. Apart from those two hot spots, there is a large number of beaches on the island with differing features in order to satisfy the most demanding visitor. Mylos beach is ideal for the water sports lovers as the wind blowing there makes the perfect conditions for kite-surfers. It is also ideal for nature lovers due to its unspoilt environment and the green cliffs. 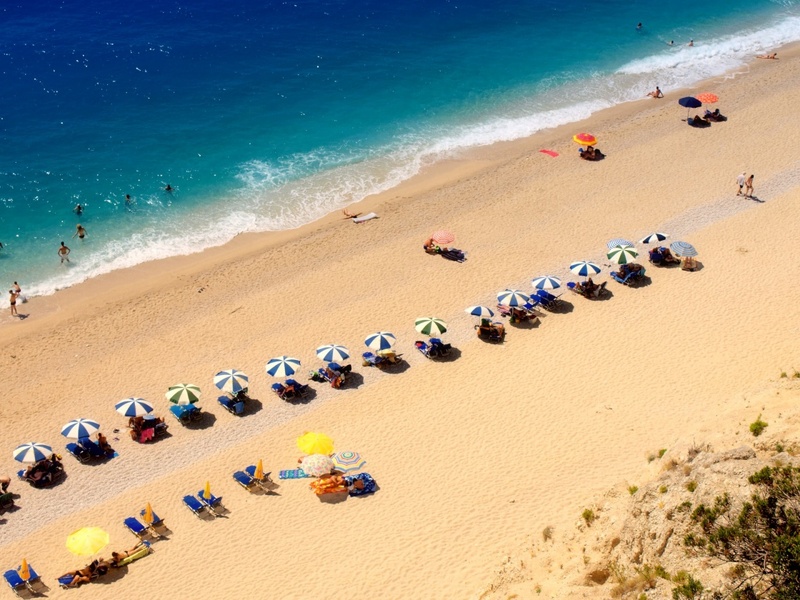 Pefkoulia beach is a top destination for families, as it is safe, easily accessible and there are shops and restaurants in the nearby village of Agios Nikitas. It is a large beach and gets quite crowded in the summer, but the area beyond the big rock is quieter and favoured by nudists. 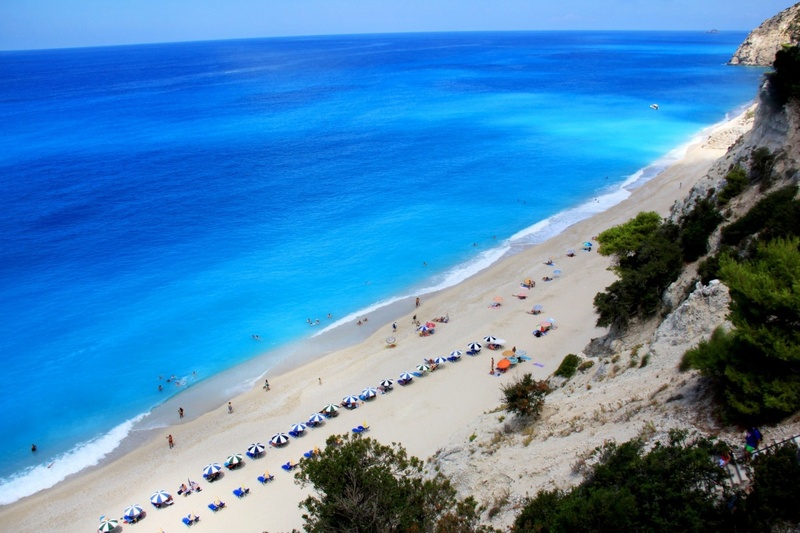 Kathisma is another well-known beach of Lefkada. It is mostly preferred by younger people due to the water sports activities that take place there and the accommodation found quite nearby. However, swimmers should be extra careful with the northwest wind and the large waves it creates. 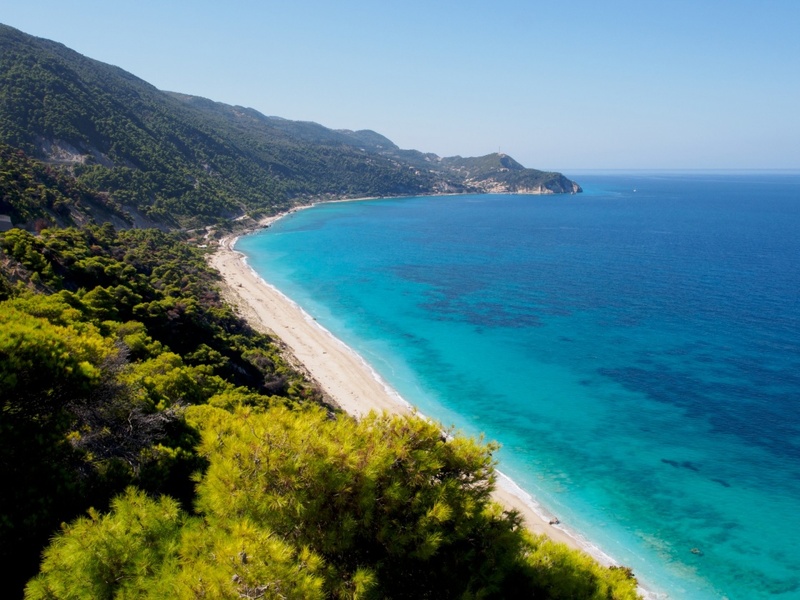 Other beaches on the island are the Ai-Giannis beach, the Kastro and Gyra beaches, the Gialos beach and the beaches of the summer resorts of Vassiliki, Agios Nikitas and Nidri.